A new photo from James Mangold’s The Wolverine has surfaced across the internet, featuring the titular character donning a suit and glaring at a scene behind him. Hmmm…I wonder if his brooding facial expression is due to the fact that his movie will be in theaters in a couple of months yet his audience won’t be seeing a trailer until March. Or the Marvel mutant just doesn’t like what he sees in Japan. My guess is it’s probably the latter. Want to know what the man with claws is doing in Japan? Well, sometime after the events in X-Men: The Last Stand, our dear Logan travels to Japan where he faces his archenemy, the deadly Silver Samurai. He will not only learn how to defeat his antagonist, but he’ll also deal with “his inner struggle against his immortality”. The superhero movie will see Logan become more powerful when he arises from his physical and emotional conflicts. Hugh Jackman, who plays the protagonist, expressed his desire to improve his depiction of the character and this led to the standalone adaptation of Chris Claremont and Frank Miller’s 1982 comic book series, Wolverine. The upcoming film has been described as a Japanese noir that promises an action-packed adventure. I for one am intrigued to see Jackman’s new approach to the character in The Wolverine. Though I haven’t read the series on which the film is based, I’ve heard it features a number of fantastic story arcs that focus on the primary character. 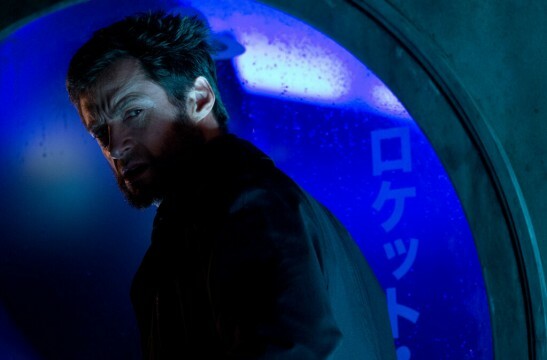 A particular complaint among critics about X-Men Origins: Wolverine was that the audience couldn’t relate to the character and that made the movie less compelling. So hopefully this adaptation should be able to straighten out those issues. Joining Jackman is Will Yun Lee, who portrays Wolverine’s nemesis. The movie also stars Hiroyuki Sanada, Hal Yamanouchi, Brian Tee, Tao Okamoto, Rila Fukushima and Svetlana Khodchenkkova. The Wolverine opens in theaters on July 26th, 2013. What do you think of the new photo? Are you excited to see the new trailer when it comes out in March?